On Tuesday, Apple Inc. (NASDAQ:AAPL) will release its latest quarterly results. The key to making smart investment decisions on stocks reporting earnings is to anticipate how they’ll do before they announce results, leaving you fully prepared to respond quickly to whatever inevitable surprises arise. That way, you’ll be less likely to make an uninformed knee-jerk reaction to news that turns out to be exactly the wrong move. Apple Inc. (NASDAQ:AAPL)’s past success is well-known, with its impressive lineup of popular mobile devices. But what has many investors worried is how the company plans to keep growing in the future. 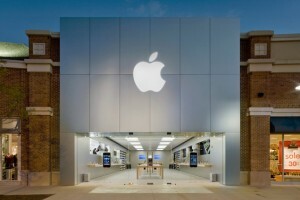 Let’s take an early look at what’s been happening with Apple Inc. (NASDAQ:AAPL) over the past quarter and what we’re likely to see in its quarterly report. Will Apple Inc. (NASDAQ:AAPL) pull out of its tailspin? Analysts have slashed their earnings calls on Apple Inc. (NASDAQ:AAPL) in recent months, cutting more than $1.75 per share off their calls for the just-ended quarter and more than $4.50 per share from their full-year 2013 consensus. The stock has plunged in suit, having fallen almost 20% just since mid-January. The big debate over Apple Inc. (NASDAQ:AAPL) essentially boils down to one argument: whether its past performance has any bearing on its future results. After the death of Steve Jobs, many investors have worried that Apple’s best days are behind it, as the company has been slow in delivering on promises for brand-new products. Despite those concerns, Apple won’t stop trying to innovate. Lately, attention has swirled around the prospects for a lower-priced iPhone as well as an iWatch and its ongoing efforts on an Apple TV product. A low-cost iPhone would make the product economically viable for a wider range of consumers around the world, but investors fear that it would also force Apple to accept lower margins and potentially dilute its reputation for quality. Perhaps the biggest thing going for Apple is the fact that expectations are so low. The company’s earnings are poised to fall on a year-over-year basis for the first time in a decade, and that has shifted perception of the stock away from its former growth focus to raise questions about whether it’s more of a value play. Strong value-based arguments support Apple, but even the discussion of Apple as a value stock is a big change for the tech giant. Apple’s earnings report will have a huge range of metrics that investors will pore over, including its new framework for providing future guidance. But the most important thing for Apple to resolve right now is how it plans to deal with its big cash balance. With activist investors having raised the issue repeatedly, it’s becoming a distraction that Apple needs to answer once and for all. If that brings shareholders a bigger dividend, share buybacks, or some more novel reorganization of the company’s capital structure, then Apple could finally see its stock hit bottom. The article Apple Earnings: An Early Look originally appeared on Fool.com. Fool contributor Dan Caplinger owns shares of Apple. You can follow him on Twitter: @DanCaplinger. The Motley Fool recommends and owns shares of Apple.